The Wife of the President, Mrs. Aisha Muhammadu Buhari has dissociated herself from fraudulent allegation being investigated by the Department of State Services (DSS) involving Amina Villa and others. In a statement by her Director of Information, Haruna Suleiman, Mrs. Buhari also noted that she does not run businesses in her office. She therefore warned that anyone that does business with another person in her name will be doing so at his/her own risk. 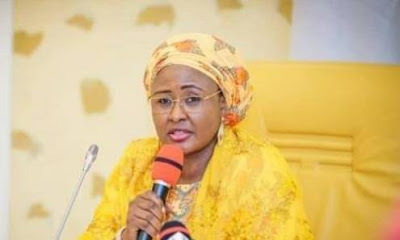 The statement reads; “Her Excellency, wife of the President of Nigeria, Mrs. Aisha Muhammadu Buhari, has been following events related to investigation of a fraud suspect by the Department of State Services (DSS), and wishes to dissociate herself from all the individuals involved in the stated fraud case. 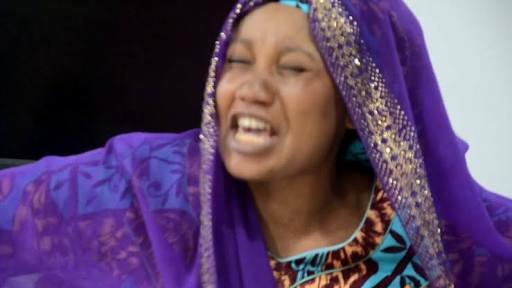 “She wishes to state categorically that Mariyatu is NOT her SISTER and the so called Amina Mohammed is not and was NEVER her ASSOCIATE and is therefore not in a position to transact any business in her name or that of her office. “As for staff of her office, she wishes to state that anyone found to be engaged in fraudulent dealings, will face the full wrath of the law,” she added.